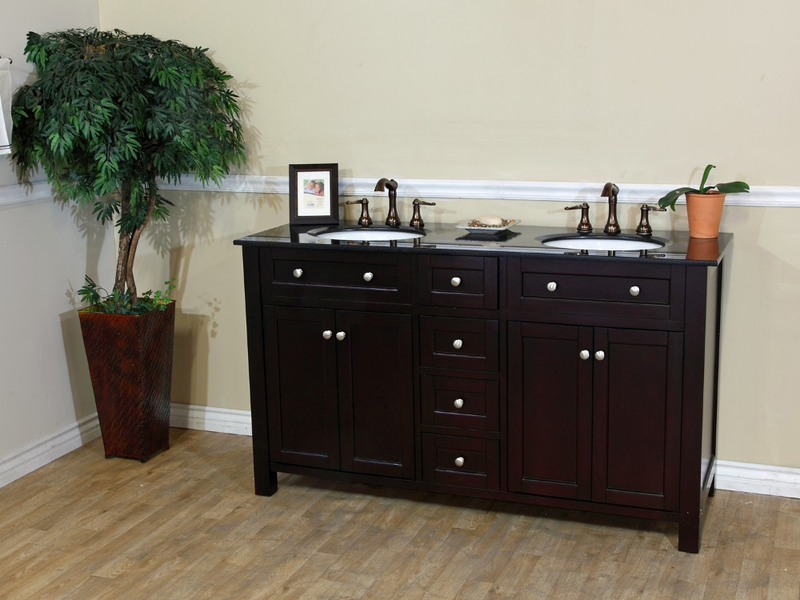 The 62" Lamia Double Sink Vanity features traditional influences on a modern design with its inset panels and dark mahogany finish on a simple styled cabinet with nickel finish hardware. 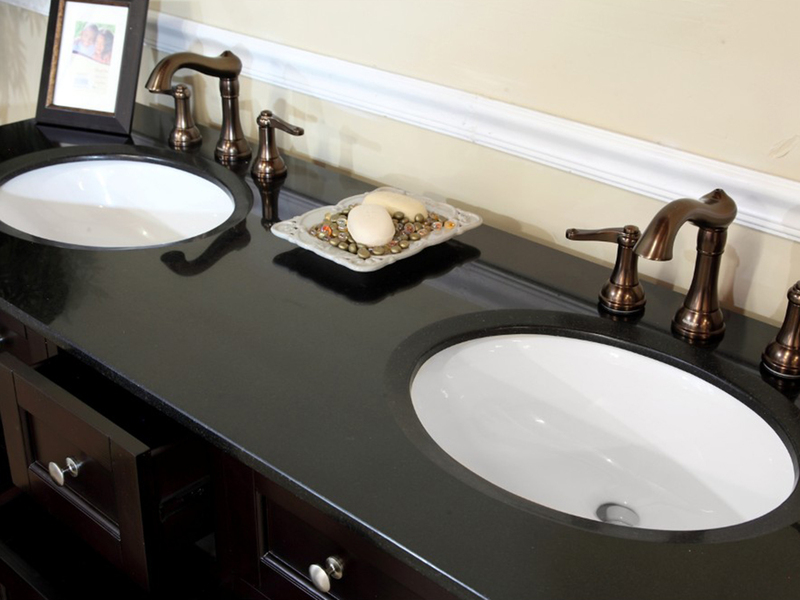 The Black Galaxy counter top enhances the dark, modern look of the vanity while adding to its luxurious appeel as well. 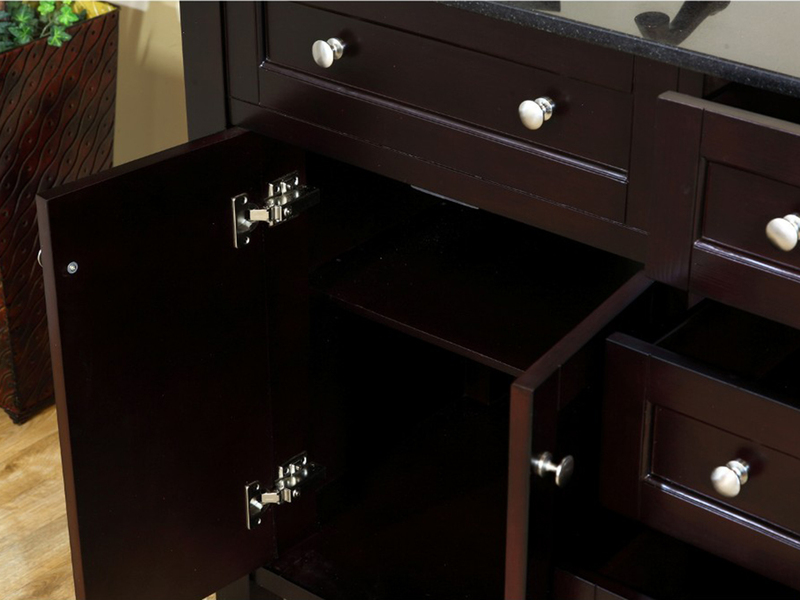 The vanity has four functional drawers and two cabinets, offering a variety of storage spaces for storing and organizing your bathroom accessories. 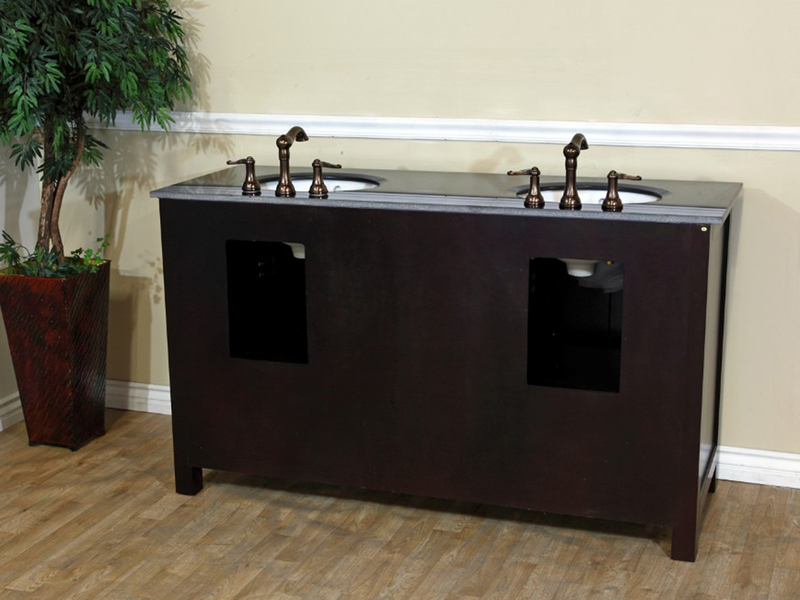 The vanity is protected against the effects of humidity by its water proof finish, preserving its handsome modern look. 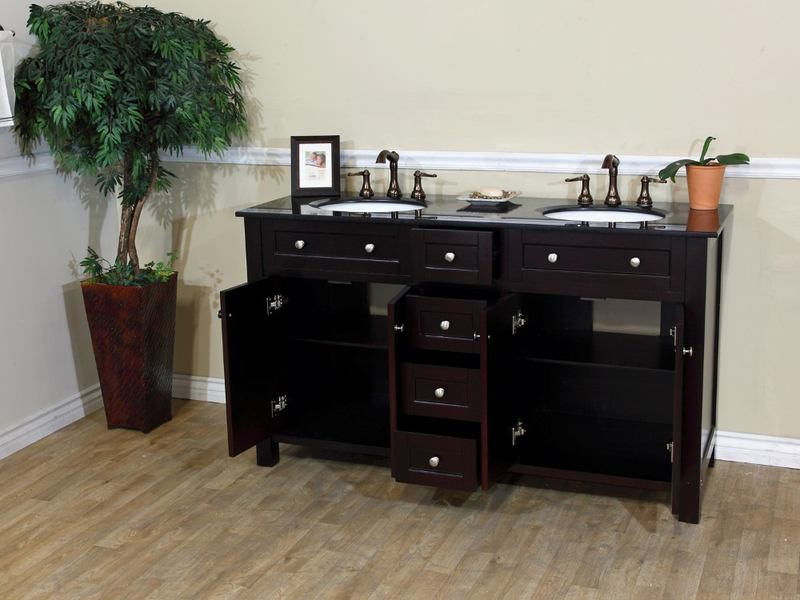 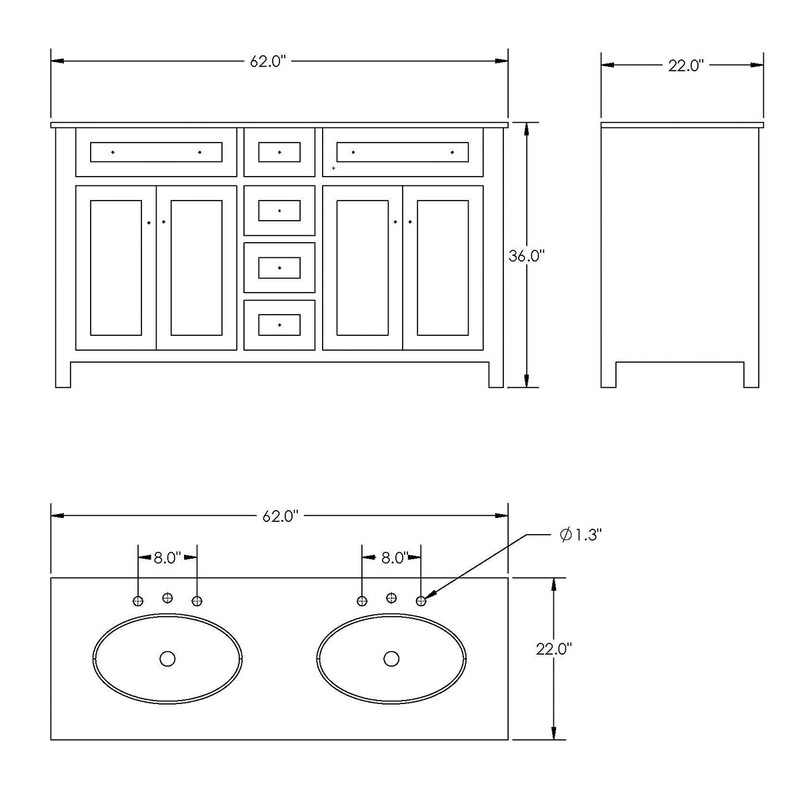 The vanity is available with an optional Black Galaxy backsplash through the drop down menu.